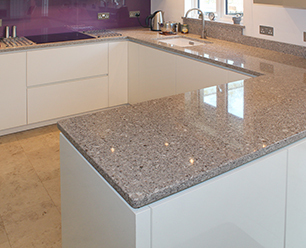 The first Quartz case study we have chosen to include is Silestone, Lagoon. 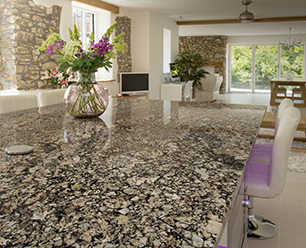 One of the Nebular range, this is a beautiful alternative to marble. Marble, a very soft stone, is not really suitable for kitchen worktops, whereas Silestones’ range of pale quartz is ideal.